Roller rinks around the country are filled with people that love to roller skate, particularly Sk8world of Portage Indiana. The truly dedicated go more than once a week. It is the perfect place to meet a future love and many rinks have had numerous proposals right in the middle of the floor that led to engagement and marriage! Long time marriages that started their relationship at a roller rink attribute roller skating as the key to a long and happy marriage! Love typically finds those that enjoy life doing the very thing they are passionate about. Roller skating has been not only a passion but a lifestyle for many as evidenced in the new documentary United Skates of America showing on HBO this February! See the HBO trailer here! Skaters tend to make many friends when they find their ‘home’ rink and friends know friends who…..you get it. Perhaps it will be an introduction from a skating friend that sparks the chemistry that leads to love! 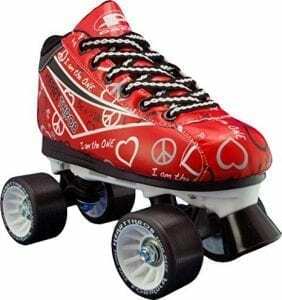 New people would love a helping hand in learning to roller skate. Make it a point to offer help to a beginner skater and see where it goes! Helping others enjoy your chosen passion of roller skating is a great way to meet new people. If you are new to roller skating, consider taking our Sunday classes and our teachers will get you rolling in no time! So, if you are looking for love or merely looking to join a group of dedicated friends, get to Sk8world of Portage and enjoy time with others that love to do what you love and here’s wishing you love and happiness this February and beyond!